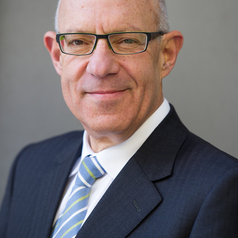 Professor Zalcberg graduated from the University of Melbourne in 1975, completing a Phd in 1983 and being made a Fellow of the Royal Australasian College of Physicians the year after. He commenced in the role as Head of Cancer Research Program in the School of Public Health and Preventive Medicine at Monash University in 2012. From 1997- 2012 he was the Director, Division of Cancer Medicine, at the Peter MacCallum Cancer Centre in Melbourne. Professor Zalcberg’s clinical research interests include gastrointestinal (GI) cancer and health care outcomes. He has published more than 270 articles in peer-reviewed journals. He was a Principal Investigator for the EORTC advanced GIST trial in Australia and continues an active involvement in trials in this disease as well as other GI cancers. He continues an active clinical practice in GI cancer.